WALTHAM - As Doc Rivers looked to fill out his coaching staff for this season, he put two names at the top of his wish list. One was Larry Brown. 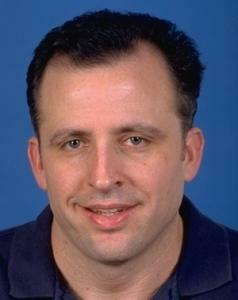 The other was Tom Thibodeau. One would get the call if Rivers began 2007-08 with the same crew of callow fellows he finished 2006-07 with. The other would get the call if, by some good fortune, the 2007-08 Celtics would be a team of All-Star veterans. Once the Celtics acquired Kevin Garnett, Rivers knew whom he wanted. And so, after being Jeff Van Gundy's faithful lieutenant in Houston for the last four years - as well as five-plus years in New York before that - Thibodeau returns to his roots to, as they used to say on "What's My Line," perform a service: coach defense. The New Britain, Conn., native, former Harvard assistant, and former Salem State head coach is back in New England, where it all started for him 26 years ago. "Being an assistant on the Knicks and an assistant on the Celtics, how can a guy who grew up in New Britain have it any better than that?" Van Gundy said yesterday. "From a coaching standpoint, it's a perfect fit." Van Gundy, who knows Thibodeau as well as anyone, called the Boston move "a great change for Tom. I think when you work for someone so long, as Tom did for me, it works a lot better for the head coach. I'm not so sure how well it works for the assistant. But he has a talent for player development, and by that I mean development on the court, off the court, film, friendship, those types of things. The work he did with Yao Ming was the epitome of player development." There's no Yao in Boston, but there is a collection of veterans, some of them All-Stars, all of them intent on reversing the Celtics' recent pathetic ways. Rivers knew Thibodeau's message would get through to the likes of Kevin Garnett, James Posey, Ray Allen, and Paul Pierce because (a) they knew what Thibodeau was saying, and (b) they believed in what Thibodeau was saying. "We got a group of guys who are trying to win and a group of veterans who understand the sense of urgency," Rivers said. "Where last year it would have been pulling teeth, frustration. I lived it, so I know it. "Veterans listen," Rivers went on. "And the talent here is better. And that's all Tom wants to do, every day - coach defense. He lives it, breathes it. He has an energy. We haven't changed a lot of our coverages, but we have more detail to them. Tom pays a greater attention to detail. And it was needed." It's hard to make a case for any meaningful statistic in the exhibition season - Ray Allen said as much yesterday - but the Celtics have to be a better defensive team this year because, well, they can't get much worse. Boston ranked 24th in the league in defensive field goal percentage; Houston was No. 1. "They were not a strong defensive team last year," Van Gundy said, being quite diplomatic. "Tom is a strong defensive mind. They added some good defensive players. It's a good match for both." Thibodeau has been around, as is the case with most assistants not tied to Jerry Sloan. After two years with the Timberwolves, he worked as an advance scout for Seattle. Then he joined the staff of Jerry Tarkanian in San Antonio. The Tark lasted 20 games (9-11) and was gone. When Van Gundy went looking to hire Thibodeau, the most glowing endorsement he got was from Tarkanian. Thibodeau stayed with the Spurs when John Lucas replaced Tarkanian and then went to Philadelphia when Lucas replaced Fred Carter in 1994. Two years later, he was on to the Big Apple as Van Gundy's assistant. He stayed in New York to work with Don Chaney before rejoining Van Gundy in Houston. This past summer, Thibodeau accepted a job with the Wizards, then left after a day. "It wasn't a good fit," Rivers said. Brown became a nonfactor for Rivers when the Celtics loaded up on veterans. "If we had stayed young, it was going to be Larry with his teaching and fundamentals," Rivers said. "I believed these young guys had heard my voice over and over and they needed to hear someone else preach it. But once we got veterans, I was thinking Tom all the way because of defense, defense, defense. And I knew Larry didn't want to coach veterans. "A lot of coaches do defense because they're assigned to it, even though they like the whole game," Rivers went on. "Tom likes the whole game, too. He's a good basketball mind. But his passion is defense. He asks me what I want, I tell him, and he runs with it." Brian Scalabrine sat out practice with a strained right big toe. Scot Pollard practiced, and Rivers said he thinks Pollard will be able to go in tomorrow night's opener against the Wizards. Pollard had been unable to practice until this week because of a left ankle injury . . . By the time the Celtics tip off tomorrow night at 8, every team but two, the Clippers and Timberwolves, will have played a game or started a game. And the Spurs, Rockets, and Jazz will have completed two games. "When I first saw the schedule, I liked it," Rivers said. "But the problem is the players see it, too, and they're thinking, 'What did we do wrong? Why do we have to wait?' " . . . Van Gundy hopes to get to the Celtics' practice today. He was in Cleveland last night for ESPN coverage of the Cavaliers-Mavericks game and is scheduled to work the Boston-Washington game tomorrow night . . . Rivers said he didn't think his players gave much thought to Gilbert Arenas's prediction that the Wizards would win tomorrow. In his blog, Arenas wrote, "Right now, I'm telling the Boston fans: You are going to lose. It's not going to be a victory for Boston. You might as well just cheer for me, because Boston isn't winning in Boston for the season opener. I'm sorry." Said Rivers, "These days, everyone is guaranteeing everything."